MARCV5 are Stephane Matten, and brothers Davy and Geert Standaert. They formed over ten years ago and achieved great success in their home country, Belgium, as well as in various European countries. Their first album “God Save The King” was released in 2008, followed by several singles such as “15 Feb.” (2011), “Weekendancer” (2012), and “Mystique” (2014). After recording their first album, MARCV5 went on the road playing throughout Europe. On more than one occasion, the band performed 3 gigs in less than 48 hours, travelling over 1500 kilometres by tour bus. They have shared the stage with artists such as Selah Sue, Chromeo, Aeroplane, Vive la fête, and Boys Noize. The band also hosted a radio show for 4 years on Belgian’s radio FM Brussels. 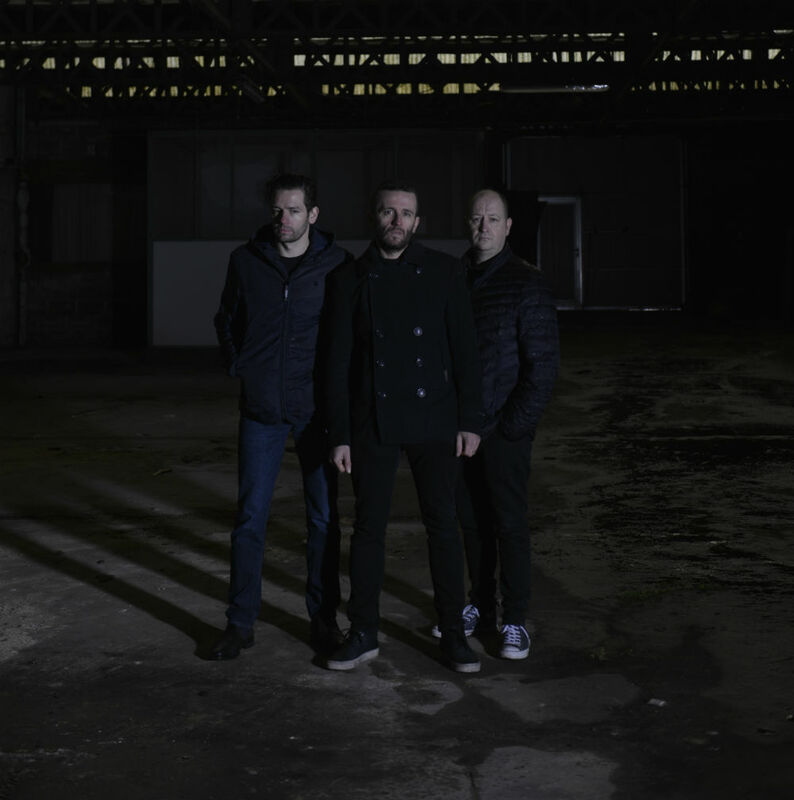 With influences from the likes of Vitalic, James Holden, Leonard Cohen, Red Zebra, Camper Van Beethoven, and Cocteau Twins, MARCV5’s music is a fusion of post-punk, dance and electronic. You can expect fast BPM’s, noisy guitars and distorted voices. The trio focuses strongly on live performances as they purposely build up the atmosphere using heavy synths and thumping beats. “We Can Do More” is MARCV5’s second studio album. It was recorded largely during trips to Brighton, Düsseldorf and their hometown Brussels in the long drawn out days of winter. Capturing the lethargic mood at the time, every song on the album has its own story that intricately links together in some form or another. A hybrid of rock, electronica, and punk influences, “We Can Do More” is held together with an honest look at humanity and the new challenges each of us has to face in the future.